Is your dog barking constantly and you’re not comfortable with using either a shock collar or spray collar? Well, don’t lose hope, there’s still another option out there for you. It’s called an ultrasonic dog bark control device. Sounds complicated right? Thankfully, it’s not, and this article will help understand everything you need to know about these devices. With this information, you’ll be able to make a responsible decision about whether you think they’ll work for your dog. We’ll cover everything from essential factors to how these devices work all to make you feel completely confident about your decision. And if you do decide to buy one, the detailed product reviews on the ten best ultrasonic dog bark control collars will make your choice easier. In the end, this article's all about helping you figure out if an ultrasonic dog bark control device is the right option for you. Then, if you choose to get one, pointing you in the right direction toward the best bark control device for you. What is an ultrasonic dog bark control device? How does ultrasonic dog bark control device work? 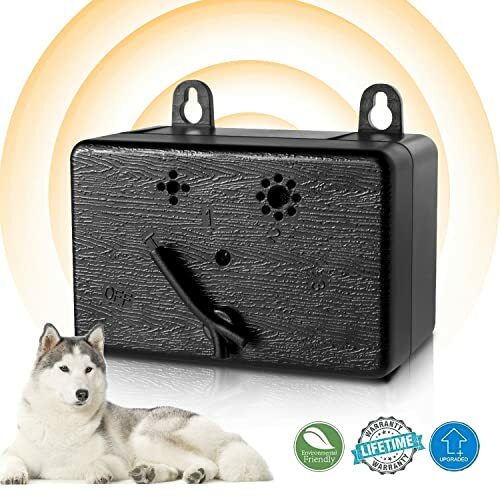 As we promised in the introduction, this section will provide you with detailed reviews of top 10 ultrasonic dog bark control devices on the market. It will help you get an idea of what’s out there before you start your search. 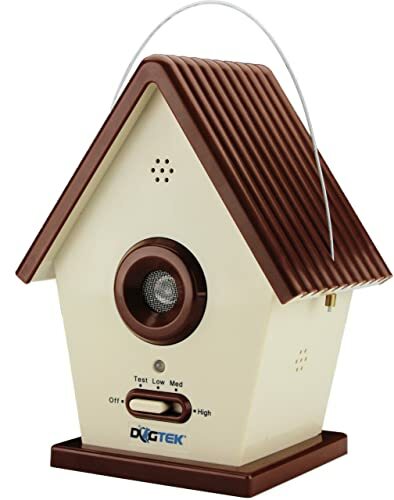 Our first product on this list, The DOGTEK Sonic Bird House, is a birdhouse/outdoor ultrasonic device that can also function indoors as well. And with this versatility, it's no wonder this product is considered one of best on the market. For instance, the 50-foot range is one of the features that make this product top-notch. Although it’s little bit shorter distance than I’d envisioned, I’m confident it’d fulfill my dog’s needs. After all, it’s really about where you set up the device anyway. Also, the fact that most customers were satisfied with the results this device provided is a positive sign. Often, customer reviews give you incredible insights into a product’s quality. In this case, it appears the product lives up to the expectations of most customers. I also like the fact it’s weatherproof, as I would need this device to survive out in the wet environment where I live. But the one feature that I love is the three sensitivity settings this device has; see, these settings allow you to control at what barking level the device activates. In other words, you can control how much barking is too much barking. For instance, if even a little barking makes your head become a thumping nightmare, you can set the device to the highest sensitivity. With this device in action, these thumping nightmares will become a thing of the past. Now, I don’t mind my dog barking a little bit, so I’d probably set it on the lowest possible setting. After all, it’s a natural instinct. However, there were some faults with this product that I took issue with: the price and the durability. At this price, I expect a product to be durable and it seems like that isn’t the case with several reviews complaining about the design being flimsy and prone to becoming broken. The majority of reviews report that is effective for their dogs. XL ultrasonic loudspeaker with three built-in bark sensors. It has three sensitivity settings and a test mode allowing you to adjust at what level of barking the device responds. With the high price and durability issues, I don’t envision myself investing in this device. It isn’t cost effective and won’t be a smart purchase. It has to be a no-buy for me. The Lambow Mini Bark Control Device is another device that fits under the birdhouse/outdoor ultrasonic device umbrella. In doing so, it has many features that would fit my particular circumstances. For example, it has a sensitive microphone that I love. See, this microphone can pick up barking from 50-feet away. As someone who lives in a rather dog-populated area, this ability would help my circumstances immensely. Even though I don’t feel terribly comfortable using the device on the neighboring dogs, the company’s reputation for being high quality lessens my worry. In fact, it almost erases it completely. Furthering this product's sense of high quality, the product's design is another aspect that I adore. See, the design’s incredibly practical as it can easily be hung from an object like a tree, fence, or lamb post. Also, this aspect makes it easy to hide from the dogs that can hear the sound it's emitting; therefore, this is a pretty excellent feature in my estimation. Along with having an excellent design, it’s also waterproof further cementing in my mind the excellence of this fantastic product. Being waterproof or weatherproof is an essential aspect I need in any outdoor ultrasonic dog bark control device I consider. Oh did I forget to mention the incredibly low cost? Well, it’s a critical component that you should make note of when researching these devices. Honestly, this device’s price will be hard to beat. But sadly, there’s a reason it has such a low cost; the battery isn't included. However, even with the additional fees you still come out with a bargain compared to some of the other products on this list. Overall, this device might be the one for me. Even with the additional stress of finding right battery, I still think this product is worth every penny, especially, for someone looking to get a strictly outside anti-bark device. The Zomma Bark Control Device has all the features I’m looking for in an anti-bark device. In fact, it’s incredibly similar to the previous item reviewed on this list. However, there’s one improved aspect of this model that I find incredible: the design. See, this device is bone-shaped and I find that to be adorable. I know, it seems like it isn’t a big deal but it’s a nice little feature you don’t expect from a mechanical object such as this device. I’ve always found this type of thing find themselves mattering way more than they’re supposed to in my decision making. However, this product’s high quality makes me less guilty about allowing it to be a massive part of my decision. And as previously stated, it has all the features I’m looking for: waterproof, at least 50 feet of range, a refund policy, easily placed outside, and an affordable price. I feel like each of these things are must-have qualities for any ultrasonic anti-bark device I'm considering. In a sense, this device is everything I loved about the Lambow Mini Bark Device except its bone shaped and cost a little bit more money. It even has the same issue as the other model: the battery isn’t included. Now, this isn’t a big deal because 9-volt batteries are pretty inexpensive and the device only needs one. So, it's okay that this device is a little bit more expensive than the previous one. Overall, it’s a little freaky how closely related these two products are, but I think I’d take this device over the previous one for a simple reason: the design. The bone shape is too cute to pass up, especially, when it’s only a few more dollars. Honestly, I’d recommend this product to anyone looking for an outside ultrasonic anti-bark device. It’s the perfect model. Another outdoor anti-bark device, the Elenest Anti-Barking Device, fits right in with the other top-notch products on this list. Due to this, it’d be a worthwhile choice for any dog owner facing a barking dog issue. Just like the other products before it, it has a 50-foot range giving your dog more than enough room to roam around and play outside without their barking becoming a problem. For my circumstances, a 50 to 75-foot range would be ideal, so, this device fits in perfectly. 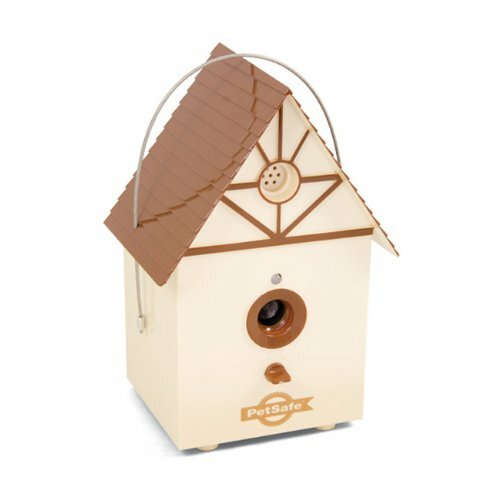 And the range isn’t the only aspect that fits my needs; I love the birdhouse design these models have, especially, this one. I can already see it sitting on a tree in my backyard. I definitely need it with my dog’s obsession with chasing and barking at the fast-moving squirrels. Moreover, this device also has three adjustable sensitivity levels: low, medium, and high. Just like I explained in the first product review, this feature’s inclusion gives you more control over the training experience. It allows you to dictate the barking level at which the device responds. With this feature, I wouldn’t have to worry about the device being too punishing towards my dog. I could set the setting to a level where I feel comfortable and go on about my day knowing I won’t get complaints about my barking dog. Besides the sensitivity levels and the birdhouse design, there's one other unique aspect this device comes with that’s worth acknowledging: the inclusion of the hanging rope. I know, it’s a little thing, but it’s nice when the manufacturer tries their best to make our lives easier. In a small way, it shows they care, and it helps me feel confident about their product. But there's one little issue that has me a little worried about this particular device; there was a collective agreement among reviewers about it being ineffective will small breeds. Since my dog isn’t a small breed dog by any stretch of the imagination, I’d usually have no problem buying this device for my dog. However, this issue does trouble me because a lot of my neighbors’ barking dogs are smaller breeds like Chihuahuas; so, I’d have to think about this device before buying. As you could tell from the name, it’s another birdhouse designed anti-bark device. This particular one is a pretty run of the mill model, but there’s one aspect of this product that makes it an exciting addition to this list. See, there are two versions of this particular anti-bark device: standard and deluxe. Now, the standard is pretty well, for lack of a better word, standard; however, things get interesting when you look at the deluxe. For example, the deluxe includes a built-in timer, which you can use to set on/off presets. I find this feature to be fascinating because with it you can preset the device right when regular barking triggers arise such as the arrival of the mailman/mailwoman or you’re going to mow the lawn.Both of which happen to be powerful triggers for my dogs. Moreover, these presets save the device’s battery, and that can save your bank account a bit of money. And it also has a low battery indicator to ensure you know when your device needs a battery change. Aside from the deluxe version having the presets, there’s nothing too exciting about this product. But sadly, there are some flaws worth noting. In some reviews, it was reported that this birdhouse ironically made dogs bark more rather than stopping it altogether. I’m pretty sure that’s the exact opposite of what we want to happen. It also doesn't help that the battery isn't included which is a real bummer because the price isn’t that affordable. Overall, I do like having the option of picking between two versions, but that doesn’t work for me when the product might not provide me with a bark-free zone. Therefore, I’m going to label this device a no-buy. 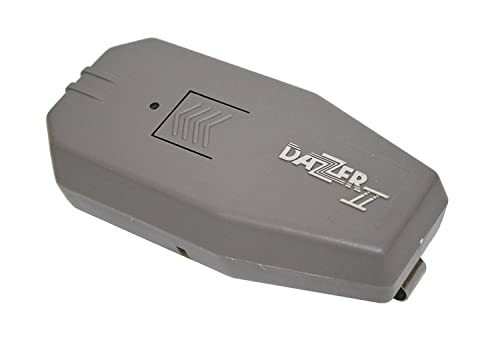 Our first handheld ultrasonic device, the Dog Dazer II Ultrasonic Dog Deterrent, is perfect for any dog owner that wants to control their dog's barking on walks, runs, or in the park. It’s also excellent for people merely looking to avoid barking dog interactions. In my case, the best aspect of this particular device is the handheld remote. See, this remote allows the owner to control the entire training experience. It allows you to quickly ingrain the right times for your dog to bark and the wrong times. Of course, this particular device wouldn’t do much good in my house. My dog tends to bark the most when I’m not home; therefore, making this specific type of anti-bark product not worthy of consideration. But as mentioned above, some people would benefit from this high-quality device and the features it has like being lightweight/easily portable could be a godsend for them. Another excellent example of a beneficial feature is the low battery indicator. It’s a lifesaver because you wouldn’t even notice the device was dead until it was without this add-on. And all of this comes at an affordable cost. There's nothing like getting a quality product at a price that isn't too taxing on the wallet. But there are still some issues with this device that are quite worrisome. For instance, its lack of range; 20-feet is a pretty short distance for an anti-bark device. And for my circumstances, it just won’t be ideal. Also, some customers reported the product stopped working after a relatively short time and that’s just something you don’t like to hear. Low battery indicator and belt clip. Some customers complained it only worked for a short time. In the end, this device was never in serious contention for me. However, I could see how it could be valuable to someone who’s has a dog that gets bark aggressive during walks or for a person trying to do their job and is tired of getting barked at such as a mailman/mailwoman. With this ultrasonic handheld bark device, there’s nothing extraordinary about it. If any word could describe it, it’d be ordinary. But where this device separates itself is in its convenience. Everything about this product is about being as simple to use as possible. With its focus on easy usage, the feature I love most is the adjustable wrist strap. See, I tend to lose everything, and I promise you without this wrist strap I’d misplace this device in about a week. So, in my eyes, it’s a lovely addition to an otherwise run of the mill product. Even though this product’s pretty unextraordinary, it does have a reputation for working on all dog breeds, again speaking to its ability for putting the person using it at ease. I don’t think I despise anything more than a product that doesn’t do what it promises it can. With this device, this would be a non-issue. However, this product sadly doesn’t fit what I’m looking for in an anti-bark device. It’s just not the type of ultrasonic bark control device I need; therefore, my dismissal of it has nothing to do with its quality. But if I were in the market for a handheld ultrasonic device, I still wouldn’t pick this one because of the one area in which it fails; it’s range. The fifteen feet this product offers its customers isn’t enough for my particular needs. In fact, it falls vastly short, and it’s an area I can’t compromise that significantly. Also, fitting into the recurring theme of the products in this article, it doesn’t come with batteries included. So, it looks like it failed to be convenient in at least couple areas. All in all, this device isn’t what I’m looking for in an anti-bark device; however, it could be an excellent option for someone who wants a simple, straightforward way of curbing a dog’s barking. 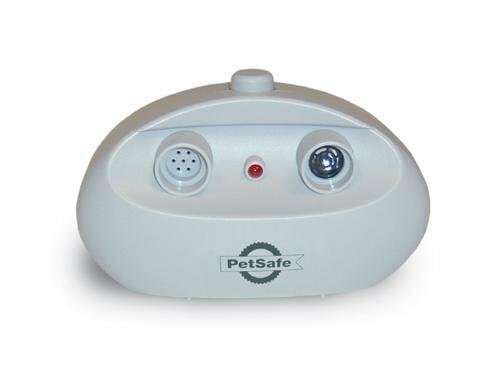 As an ultrasonic handheld device, the PetSafe Ultrasonic Remote Trainer is a marvelous product for a variety of reasons. In my personal opinion, this item is my favorite ultrasonic handheld device on this list. See, unlike the other handheld options, this fantastic piece of equipment has a range up to 30 feet. With this type of range, I could actually see this working in my backyard; this is a drastic difference from similar products on this list. Also, it has the unique inclusion of having both positive and negative tone buttons. This feature is something I can’t praise enough. I love the fact that I could use these tone buttons to enforce what I consider good and bad behaviors. It’d make would training so much easier in every aspect. In fact, I might get this device just merely for the potential it has for training sessions. I mean, imagine how much quicker each training session would go with how fast this device can communicate positive and negative reinforcement. Regardless of its potential effectiveness in training sessions, there’s also another interesting aspect that caught my eye; the manufacturer made it known it would be useful for cats as well. As someone who has both cats and dogs, this multi-animal use could be incredible. But, no product isn’t without its flaws, and this device was not an exception to this rule. As you expect from any ultrasonic anti-bark device, it wasn't effective with certain breeds according to customer reviews. If you couldn’t tell, I’m planning on buying one of these, but for training rather than anti-bark purposes. It’s what I imagine anyone looking for a handheld ultrasonic device could want. I mean, it has everything. 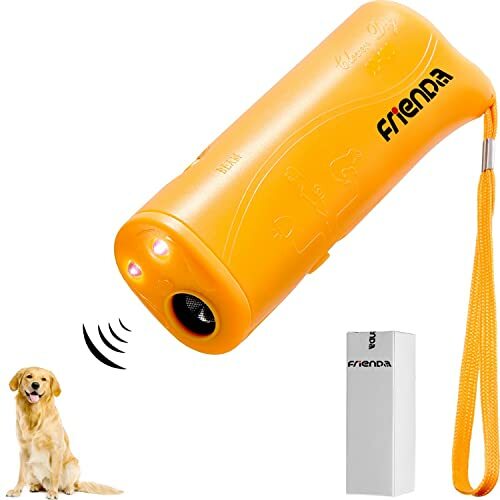 Our last handheld ultrasonic device, the Frienda LED Ultrasonic Dog Repeller and Trainer Device, lacks a standout feature but makes up for it in affordability. But being the low costing item on this list, doesn’t mean it can’t get the job done. For example, this device has the adjustable wrist strap that I loved in the First Alert handheld review. This feature just adds a certain level of comfortability that lends itself useful to a product like these devices. Additionally, I think the LED flashlight add-on is a pretty decent feature to have considering you never know when you’re going to need a flashlight. And since it’s so lightweight, it's easily portable; therefore, there’s no burden luging this device around. And it might be the easiest product to use on this entire list. You just put the battery, turn on the switch, and then you’re ready to stop that annoying barking from ruining your life. As a person that hates over complicated mechanical things, I can truly appreciate something as rudimentary as this anti-bark device. It also has the added perk of coming in two different colors, yellow and black, so, you can choose according to your style preference. There’s nothing ever wrong with giving your customer color options. I know, I never complain. But as with most low-cost items, there are a couple of issues. For this particular device, the problems come in two areas: durability and effectiveness. See, I read multiple reviews that complained about the device breaking and having trouble working on certain dog breeds. 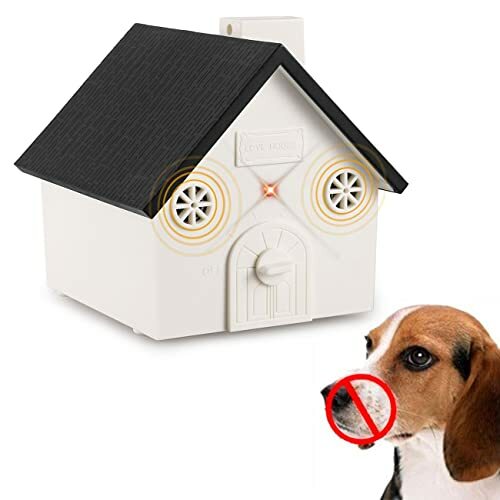 In my estimation, an anti-bark device having issues in either area is problematic and make it hard to justify purchasing this product. With its glaring weaknesses in durability and effectiveness, I can’t recommend this product in good faith no matter the cost. But if you’re on a budget, there have been some positive results according to the customer reviews. So, maybe you’ll get lucky. 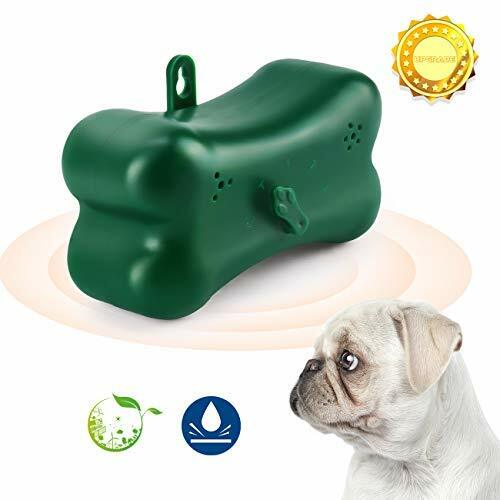 The last product on our list, the PetSafe Indoor Bark Control Ultrasonic Pet Training System is ironically also our first strictly indoor ultrasonic unit. As you can expect from any PetSafe product, this device is built well enough to succeed in its given purpose. For example, it’s can either be used manually or automatically, which is something I find to be incredibly useful. With the ability to switch back and forth from manual to automatic, there’s no reason you should ever be unprepared to stop a dog from barking inside your home. Honestly, this switching ability would be perfect in my house. I mean, my dog does tend to bark more when I’m away, but that doesn’t mean he stops barking when I’m home. It’s an ongoing battle that he seems to be winning. At least with this device, I’d stand a chance. Along the same lines, the 25-feet range is more than enough space indoors. There’s no way he could escape the boundaries of this device inside our home. If it wasn’t for one issue I can’t overlook, this device would be a perfect fit. This issue is the fact multiple customer reviews have stated this product is set off by yelling humans. As an avid sports fan that likes to scream when his team scores, this issue could become very problematic for my poor dog. With the issue mentioned above, I don't see how buying this device would end up benefiting my dog or me. So, I can’t see me putting money into something I don’t envision having a successful outcome. First and foremost, an ultrasonic dog bark control device is a form of anti-bark control. Its entire purpose is to save you from the mind splitting headaches a continually yapping dog can provide. Now, its method isn’t as harsh as a shock collar or as direct as a spray collar, but in some cases, the ultrasonic sound it emits can be just as effective. See, the device simply reacts to a dog’s barking by releasing a sound that only your dog can hear. Once they stop barking, the device will stop emitting the sound. It’s a pretty simple, but relatively effective device. Of course, things get little problematic when the dog doesn’t seem to care about the sound. And this will happen with some dogs. It’s just in their nature to be stubborn. However, this reaction is considered rare and given the alternative forms of bark collar; these devices seem a lot more humane in comparison. But as with most pet-related products, there’s some debate about whether these devices are entirely safe. After all, we can’t hear the sound, so, we don’t know how damaging or powerful it's to the dog. But in my personal opinion, if you find a reputable manufacturer such as the ones in this article, I think you shouldn’t have any worries about these concerns. The companies mentioned in this article are known to do extensive research into the quality and safeness of their products. Therefore, both you and I should feel comfortable buying these devices and using them to our benefit. And as you’ll see in the section below, there are many types, so, you can easily find one that will fit your personal preference. There are four main types of ultrasonic dog bark control devices: birdhouses/outdoor ultrasonic devices, handheld ultrasonic devices, ultrasonic collars, and indoor ultrasonic units. As you would expect, each type has its own method of emitting its deterrent sound. And below, we’ll cover the basics of each type to give you a better idea of which one you’d prefer. Most people who are looking to stop a noisey neighborhood dog from yapping up a storm use a birdhouse/outdoor ultrasonic device. These devices allow you to put up a defense against your neighbor's dog secretly by blending into the background. As you’d expect from the name, most of these devices are shaped like birdhouses, but they do come in other shapes and sizes. It depends on what type of model fits best into your backyard. However, with these devices it’s essential you find the highest quality one available to ensure it won’t pose a health risk for your neighbor’s dog. I’d personally feel a little uncomfortable using these devices on another person’s dog. But they can also be, effective in stopping your dog from becoming that yapping nuisance for your neighbors. In a sense, these devices exist to keep neighborhoods quiet. And in doing so, keep a lot of people from getting headaches. Honestly, it’s a pretty noble thing these devices can provide communities. I mean, nobody likes complaining about a barking dog and with these devices it becomes a non-issue. Among anti-bark products, the handheld ultrasonic devices are incredibly convenient because you can carry them around and have the ability to curb your dog’s barking in the palm of your hand. See, these devices are little remotes with a sound mechanism inside capable of emitting a sound deterrent. In a sense, it allows you full control over when you want your dog to bark and when you don’t. You’ll never have to worry about your dog barking on a walk or when the mailman comes to the door; you just hit the button, and it stops. However, if you're not present, this device is useless. Nothing is stopping your dog from just waiting until you’re not around and then letting out their headache causing yapping. Due to this, I’d recommend this product to a dog owner who has a problem with their dog barking for protective reasons. However, if your dog is barking cause of squirrels or other similar distractions, it’s best you opt for another type of device. If you’re considering an ultrasonic collar, it’s quite evident that the problem is your own dog. After all, it’d be a little weird to put a collar on another person’s dog. In fact, it’d be downright crazy. With this in mind, it’s essential you understand the features that come with these collars. For example, most ultrasonic collars are going to come with other correction options such as shock or vibration. If you aren’t comfortable with the idea of having a shock option, you must find an ultrasonic collar without this feature. It might be hard, but they do exist. At the end of the day, it’s all about making sure your comfortable with the product you’re buying, And as someone who very weary of shock collar related products, I’d personally stay away from ultrasonic collars with the shock feature. These devices are very similar to the outdoor devices. However, there are some subtle differences in the features. For example, outdoor devices need to be waterproof, and indoor ones don’t. Likewise, they have a different type of design to help them hid into the décor inside your home. For example, there’s no reason you’d have a birdhouse indoors; therefore, they’re more likely to look like smoke alarms or other indoor items. Otherwise, there isn’t much of a difference besides they’re meant to stop your dog’s barking rather than the neighborhood dogs. I’d recommend these devices to someone who has a barking problem centered around people/animals outside the windows of their home. In other words, if your dog is always barking at squirrels outside your bedroom window, one of these devices might be perfect for you. Regardless of the type, the way each device works doesn’t change much. Therefore, I’m merely going to go over the basics of how these devices work in general. It will help you further understand the exact training experience your dog will encounter. In the simplest terms, an ultrasonic dog bark control device works by using a tone to deter your dog from barking. Whether a microphone on a collar or a remote control in your hand controls this, these devices use this sound to stop the barking from continuing. Over time, the hope is your dog will start associating the sound with the barking. In doing so, they’ll soon understand that barking is what makes the sound enter their ears and avoid doing so unless necessary. In the end, these devices call on negative reinforcement to curb your dog’s barking a lot like a spray collar or shock collar would. However, the use of negative reinforcement with these devices can be considered a lot more humane than either a spray collar or shock collar. In my personal opinion, I would consider these devices to be the most humane with the right model and manufacturer. But if you end up buying a low-quality version, I could see how these devices could be problematic. See, the main problem is the owners can’t hear the sound. Due to this, it’s impossible for us to evaluate how much damage the noise could do. But high-quality manufacturers employ smarter people than you or I to research this issue. Therefore, if you buy a high-quality manufacturer such as the ones mentioned in this article, you shouldn’t have any worries about these devices damaging your dog’s ears. As with all products, there are pros/cons to using these ultrasonic devices. And in this section will briefly go over both the positives and the negatives of these devices to help you decide whether or not buying one is a good idea. Now, I know that’s a long list of cons, but a lot of these can be avoided by getting the best dog barking deterrent for your circumstances. And the next section will help you determine what model is perfect for you. In this section, I’ll go over some things you’ll need to consider before deciding which ultrasonic dog bark control device is perfect for your dog. This section will help you understand the variety of factors that will end up molding your decision. As you read in section four, there are four different types of ultrasonic dog bark control devices, and each one has circumstances where it’d be most effective. Due to this, it’s important the type of device you pick fits your particular needs. For example, let’s say your dog is a non-stop indoor squirrel barker; your desired option would probably lie between two types, indoor ultrasonic units or a handheld ultrasonic device. On the other hand, let’s say your dog is the yappy neighborhood nuisance; in this case, you’re probably going to want a birdhouse/outdoor ultrasonic device because it will have the features that will be capable of dealing with weather elements. In the end, it’s all about matching your needs with the device's capabilities to get the best anti bark device possible. When considering one of these products, you must know the type of batteries the device takes. Seems like common sense, right? Well, it’s still crucial knowledge regardless. In general, you’ll have to replace the batteries in 3 to 6 months from the initial use. Most of these devices will have a LED light that will let you know that the device needs a battery change. In my opinion, the LED feature is a must because it can be quite easy to forget the device is even there. After all, you can’t hear the sound it emits. So, try and find a model that has this feature that way you won’t have to worry about this becoming an issue. One of the most critical aspects you’ll have to consider is the product’s range. Now, most of these devices have a range up to 50 feet. It’s the industry standard for an ultrasonic dog bark control device. However, there are some that have a range extending all the way to 150 feet. And of course, there’s everything in between. So, you must decide what kind of range you want your device to have. For me, I’d have to opt for the 75 feet range because my backyard is pretty big; therefore, I’d like to ensure I’m completely covered. Most ultrasonic dog bark control devices are going to have three sensory and sound levels. They’ve got these levels so you can adjust both the sound’s intensity and the device's sensory range. Therefore, make sure you don’t get duped into buying a device without multiple sound or sensory levels. It’s crucial to creating a safe and bark-free environment. And it ensures you can adjust the levels to the point of peak effectiveness. After all, you don’t want to return one of these devices unless it’s needed. It just isn’t something anyone likes to do. Unfortunately, some of these devices are downright ugly. In other words, these products aren’t something you look forward to showcasing inside your home. This consideration might seem like it’s unnecessary and outlandish. But, I don’t want you buying one of these devices and not take into account that you’re going to be looking at it a lot. Furthermore, you don’t want these devices to attract a lot of attention; you want them to blend into the background. In the end, there should be an attractive enough model available to fulfill your style preferences. So, don’t settle for the ugly model just because you aren’t looking to spend a lot of time researching the ultrasonic dog bark control device market. After all, isn’t that what I’m here for, to help you find the best ultrasonic dog bark control device for your needs? So, don’t settle and consider how you want your device’s design to look. The most significant safety measure you can take is making sure you’re buying from a reputable manufacturer. You don’t want to get swindled into buying a fault model as it might pose a severe risk to your dog’s health. Due to this, the first thing you should do is read reviews about any ultrasonic dog bark control device you’re considering. It will help you garner whether or not the product you’re looking at is high quality and worth your time. Honestly, your dog’s barking might be annoying, but the effort to stop it shouldn’t put their health at risk. In fact, if you have any doubts about a device you’re researching, it’s best to move on immediately. Even with all the above information, I bet you still have a couple questions about these devices. In this section, we’ll try to cover the remaining questions you have and give you complete peace of mind regarding your feelings about these devices. Do ultrasonic bark control devices work? In general, these devices do work. But it depends on the dog. Some dogs won’t respond to the sound emitted from these products. It’s unfortunate, but it’s the reality of the situation. However, the companies making these products know this issue and are pretty considerate with their warranties. So, make sure the company you’re buying from has a warranty just in case the device isn’t effective on your dog. And even they don’t offer a warranty, don’t take that as them having confidence in their product. In fact, it’s quite the opposite. Most likely, they’re trying to deceive you and make a quick buck off a deficient product. Where to buy ultrasonic dog bark control devices? As with most products these days, the best place to buy an ultrasonic dog bark control device is online. Sites like Amazon will more than fill your needs as a consumer. So, don’t overthink this decision, there’s a reason why Amazon is the leading marketplace in the entire world right now. But if you don’t feel comfortable buying from Amazon, other sites could help you find the perfect device. For instance, Chewys is always an excellent secondary option, or even eBay might be a worth a look. Besides those three sites, you could always try your luck at a PetSmart or Petco near your home. But one thing you should never do is buy straight from the manufacturer’s website. The prices on these sites will generally be higher than what you would find on Amazon or even in a pet store like Petco. How to use ultrasonic dog bark control devices? Since there are several different ultrasonic dog bark control, it’s difficult to generalize the usage of these devices. But typical, it’s pretty self-explanatory. Honestly, the set-up should be outlined extensively in the manual accompanying the appliance. 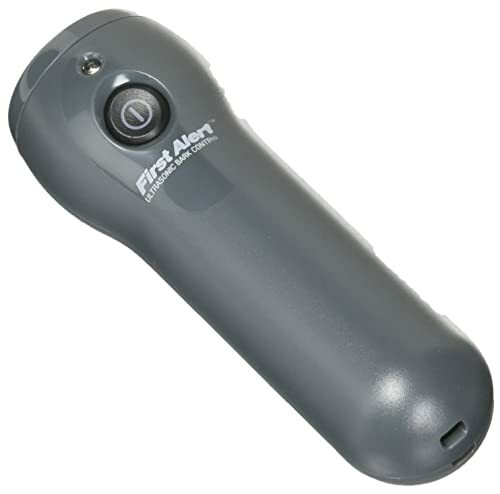 But in most cases, the device will detect the barking and emit a sound that will hopefully deter your dog’s barking. For example, let’s say you get an ultrasonic collar; the microphone on the collar will recognize the barking and emit the deterring sound. Overall, none of these devices will be that hard to use and should cause you very little stress during the setting up phase. Deciding whether or not you want to buy an ultrasonic dog bark control device can be an overwhelming decision. After all, you don’t want to purchase something that will cause your dog harm. Honestly, that’s every dog owner’s worst nightmare. So, I hope we helped you alleviate any questions or concerns you had regarding these devices. Remember, with the right manufacturer, they’re 100% safe and ready to help stop your dog’s barking. But the trick is finding the right manufacturer for your personal needs, and that’s what we hopefully helped you do. And if you don’t feel comfortable using these devices, that’s okay too. We have other buying guides that might be more your speed! I was recommended this web site by my cousin. I am not sure whether this postis written by him as no one else know such detailed about myproblem. You’re wonderful! Thanks!